People commonly use “bid” and “estimate” interchangeably, but each word carries a distinct meaning when it comes to the construction process. Bids and estimates refer to decisions made and offers given during separate phases in the proposal process. Learning the proper usage of these words and the stages with which they pair is important when embarking on a project. An estimate is exactly what it sounds like: an estimation of what the completion of a project will cost. Contractors research and pull together the expected price of materials, labor and subcontracts. They use this information to calculate profit and then come up with an estimate to present to the potential client. A price estimate is meant to give customers an idea of how much money it will take for them to hire the contractor for a job, but it isn’t a concrete commitment. The estimate provided to a customer is not expected to be 100% accurate, but it should fall within the ballpark and usually includes several assumptions as all the details have not been decided. Customers count on estimates to get a perspective on the range they need to set for their budget. Estimates are often provided by contractors for free, but sometimes there is a charge as a great deal of time and effort goes into providing a proper one. Once a contractor and client express a mutual interest to collaborate on a specific project based on several factors such as time, estimate, and qualifications, then an official offer is made. This fixed price offer is called a construction bid. Bids are usually documents that are submitted to the customer for review and acceptance. They often contain an outline of the job, detailed pricing, detailed drawings and a time frame with a proposed date of completion. Bidding construction projects is not an exact science. There are many variables that go into every phase of a project such as labor productivity, material price fluctuations, weather conditions and market conditions. Most successful construction companies include additional margins in their bids to cover these changing circumstances. That way, if a few extra pieces of lumber are needed or a couple more gallons of paint, the additional cost won’t fall on the client. If the bid is accepted, the contractor is then committed to carrying out the work described accurately and on time. If there are time constraints attached to a particular project, the procedures for estimates and bids are subject to change. For example, if an estimate is provided and a customer wants to move forward swiftly with the offer, that estimate might roll over into a bid so that work can commence. An accurate estimate evolves into a precise bid, and therefore, each phase of cost calculation is equally important when planning the finances of construction. For additional information, or to speak with an expert about getting an estimate or bid for your next project, contact Associated Contractors today. 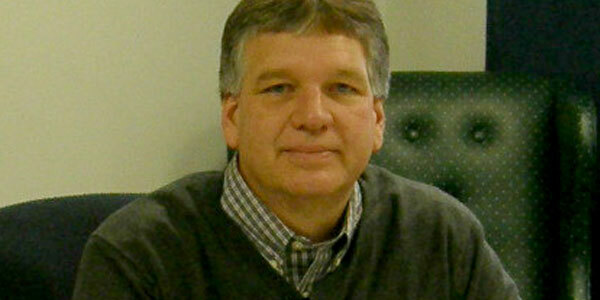 George Ray is the owner of ACI and has been working in the construction industry for over 40 years. George has worked in the field in numerous roles including Laborer, Carpenter, Superintendent, as well as office roles including Estimator, Project Manager, Sales, Controller, VP, and President. He has extensive experience with pre-engineered buildings and design build. ACI Builds is a publication for architects, contractors, and anyone interesting in learning more about the construction industry. We will keep you up to date on the latest industry news, code changes, design-build and construction processes. Please subscribe for regular updates or follow us on our social media channels. © 2016 BlueScope Buildings North America, Inc. All rights reserved.